What do you value in a villain? What do they have to do to be memorable, interesting and engaging? It varies from person to person what traits an ordinary villain should have. They have to be intimidating, foreboding, intelligent and threatening. A villain has to be able to pose a physical, as well as a psychological, threat to the protagonist. We as an audience have to feel just as worried about the on-screen presence of the villain as the protagonist facing them does. There are a few notable components to a truly memorable villain however that I believe most Hollywood movies never incorporate into their antagonists to make them genuinely amazing, rather than uninspired and boring. To me, an effective villain will be one you can sympathise with, if not exactly condone their actions. They should present an idea, theme or argument that actually has merit and challenges the beliefs of the protagonist, forcing them to change throughout the movie. A great villain should be more than just a physical threat. They should serve as the antithesis or as a distorted reflection of the protagonist. This is why I believe both critics and fans are so impressed with the villain, Killmonger, in the recent Marvel film Black Panther. The villain’s role is not only given appropriate screen time to allow us to understand why they’re confronting the protagonist, but the villain also serves to facilitate the development of the main character. 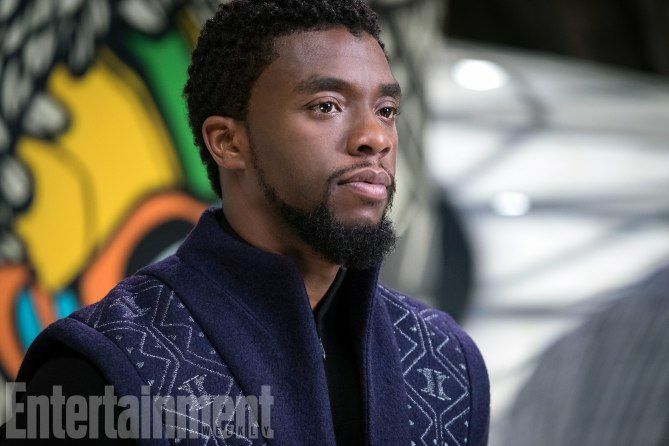 The protagonist of the film, T’Challa, played by Chadwick Boseman, has recently become King of Wakanda, an isolated and technologically advanced country based in Africa. He cares for his people, his country. He wants to ensure their continued happiness and contentment and is a sympathetic and compassionate individual. To make sure he makes the right decisions for his people, he seeks the counsel of his advisors, family and friends to help inform him what is best for the country and the decisions they believe he should make to ensure its prosperity. The primary point of contention for the newly appointed King is whether, as the most technologically advanced nation in the entire world, he should share Wakanda’s technology with the rest of society and risk ruining their country’s independent, isolationist success or should he choose to continue keeping it for themselves and avoid the risk entirely? Given these choices, T’Challa seems inclined to choose the former. It is, after all, the safest decision for his people. 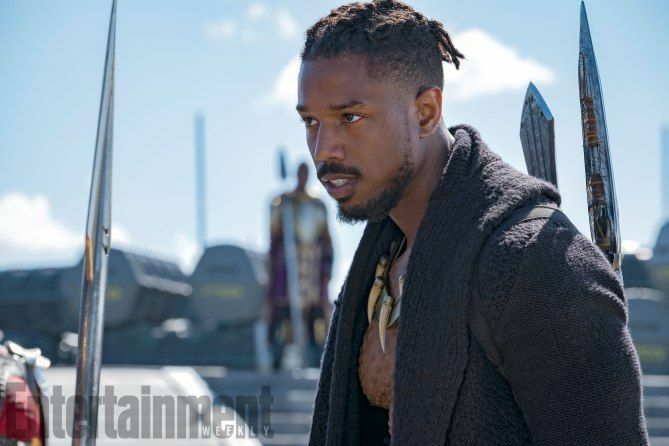 Enter the villain, Killmonger. As a person of colour who has seen first hand the discrimination, persecution and oppression that ethnic minorities have faced for centuries as Wakanda simply ignored those who were suffering while they remained safe and lived in luxury, Killmonger is disgusted that they refused to help. He made it his life’s mission to be the change he wanted to see and knows he can accomplish this by using the technology that Wakanda has hoarded for themselves to accomplish this. His ideals are noble and commendable but he is also a man made angry and vengeful by his upbringing and only knows how to achieve his goals through violence, death and destruction. Both his ideals and his actions immediately throw him into opposition with T’Challa. He could potentially throw Wakanda into ruin and threaten T’Challa’s hopes for peace and prosperity. It’s this type of moral and physical conflict that makes for an engaging watch. But Killmonger isn’t evil. He’s just extremely misguided in his attempts to bring about positive change. He has a valid argument and forces our protagonist to not only reflect on the history of his country and the decisions previous King’s made but also his own beliefs. If everything was proceeding smoothly like he assumed, why then is there someone who is so willing to vehemently challenge his ideals? T’Challa has to accept that while Killmonger’s path of destruction is wrong, his ideals and criticisms of Wakanda and T’Challa are valid. 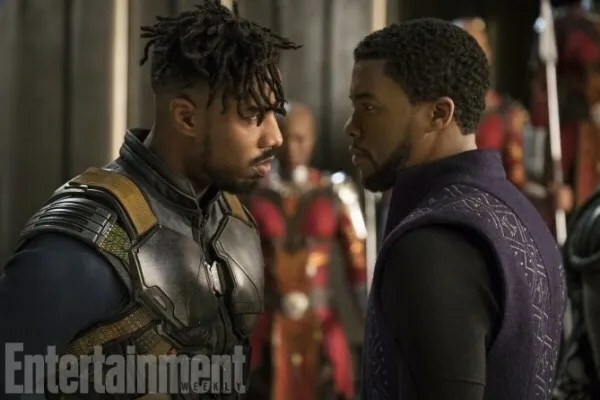 This influence by the villain forces the protagonist to evolve as a character and allows him to understand and fight back against Killmonger. The T’Challa we see at the beginning of the film is not the same one we see at the end. He has reached a middle ground, incorporating both his original beliefs and the values held by the villain. This because Killmonger, a sympathetic, arguably justified and charismatic villain challenged the protagonist not only physically but also psychologically. They forced each other to defend their views, address the problems in each other’s philosophy and ultimately allowed us, as an audience, to feel invested in both the protagonist’s and villain’s plights. That’s why I find Killmonger to be one of the best villains in the entire Marvel Cinematic Universe. All images used are via Marvel Studios.